So those of you following me may have picked up that we’re desperately trying to escape the clutches of the extortionate rented sector and saving every spare penny we can towards a deposit on our very own home. The things we hate about renting include paying way more on rent than if we had a mortgage, having delightful house inspections every three months and having to move house when the landlord decides to sell. This has happened to us with our last two homes costing us a fortune on removal costs etc. and causing upheaval for our children. We’ve also been through a stressful rent deposit dispute (which we won!) when our landlord decided to refuse giving us back our deposit! So back to saving and passing on our wisdom to the next generation. We heard about the Help to Buy ISA and after some research we suggested one for Tasha and she’s got signed up. We’d get one ourselves but we have owned a house before, years ago so as we’re not first time buyers we’re not eligible. So basically – for all other parents reading. 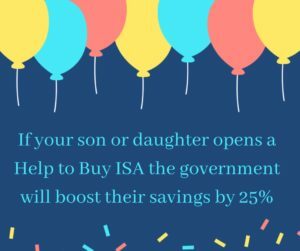 If your son or daughter opens a Help to Buy ISA the government will boost their savings by 25%. So for every £200 they save, they receive a rather brilliant bonus of £50! The maximum bonus is £3000 and to receive that, they’d need to have saved £12,000. You have to be 16 to open a Help to Buy ISA. 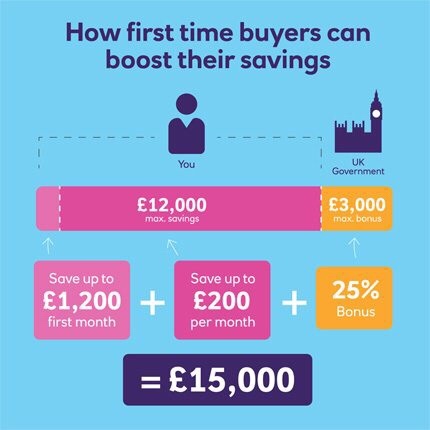 You can find all the info you need on the Help to Buy website. We did our research and opened one with the highest rate on the High Street and Tasha is planning to put a small percentage of her earnings from her part time jobs into the account. 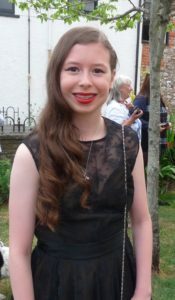 Just enough that she won’t really notice each month but it’s a start and who knows in say 5 years time when she’s finished Uni at 21 there may be a bit of a nest egg saved up. If she decides to cash in and travel round the world instead then she can do that too and keep the account open and start saving again when she gets back! If you’re like us and looking for money saving and cash creating ideas – join the friendly Super Savvy Vegan Facebook group. I’m also on twitter and Instagram. Thanks for reading. Next post: How are lemons not vegan?